that's just fabulous: Happy Thanksgiving! Happy Thanksgiving to all of my U.S. readers! I hope that all of you are having wonderful days with your families and enjoying the time off. Regardless of whether you celebrate the holiday or not I still think this is the perfect time of year to reflect on what we are thankful for. Especially in this little world of blogging it can be so hard to get caught up in materialistic things, competition, and always wishing your life seemed as perfect as someone else's looks. As bloggers we only tend to show the perfectly crafted, small segments of life. •My job (and all of the wonderful people I know because of it). I think one of the most important things is finding a workplace where you not only love what you do, but you love who you are around. •My friends - especially those that I have met through this blog. I am so fortunate to have such a wonderful group of friends (new and old). •My apartment - even though it is a tiny studio, it is all mine and I absolutely love my little space. •This blog - I have had so many wonderful experiences and met so many amazing people all through my little spot on the internet. It has opened so many doors and truly helped me discover my passions. 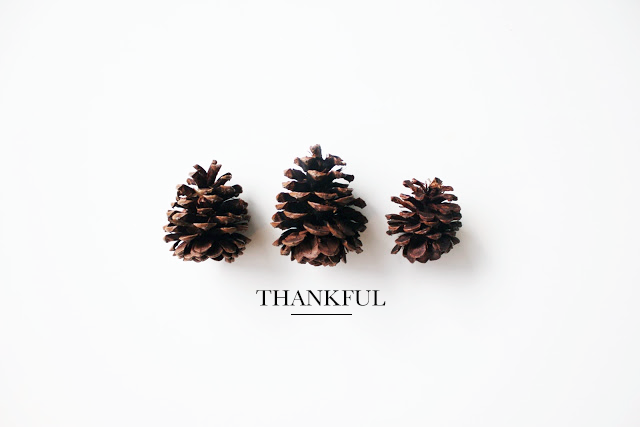 What all are you thankful for? Let me know in the comments below. Thank you so much for your sweet comment. I really love how you said you are thankful for yourself. It is so important to really love yourself and realize how strong you are as a person! That's one of the main reasons I started this blog. Thanks for sharing all that you are thankful for and I hope you had a great holiday!